When a car is in your blind spot. You should always change lanes gradually and carefully. Only change lanes when necessary. Every lane change increases the possibility of a traffic accident. Park with your reverse lights on. Make sure your vehicle is visible to drivers approaching from any direction. Park five feet from the curb. Drivers are responsible for making sure their vehicles do not become hazards after they have been parked. Wherever you park, make sure your car is visible to drivers approaching from any direction. 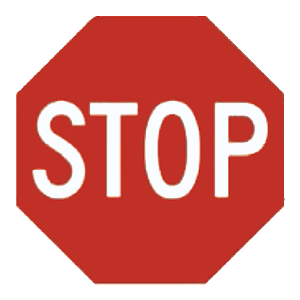 The stop sign is the only eight-sided sign you will see on any roadway. When you encounter a stop sign, you must come to a complete stop. You may not proceed until the way is clear for you to completely and safely pass through the intersection. 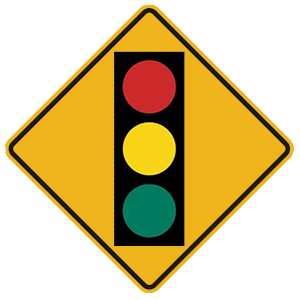 When turning left, you should slow down and activate your turn signal before making the turn. Be careful not to cut the corner short, as this may interfere with traffic.